Q: What is the current wait time for a custom show saddle? A: If you’ve looked through our in-stock saddles and haven’t found a saddle you like, we will be more than happy to build a custom saddle specifically for you. However we are unable to promise saddles by a certain date, but currently the wait time is approximately 6 months. Q: What is the wait time for a work saddle? A: Please call us to check availability of a work saddle. Q: How do I clean my saddle? A: Our saddle cleaning instructions are available for download here. 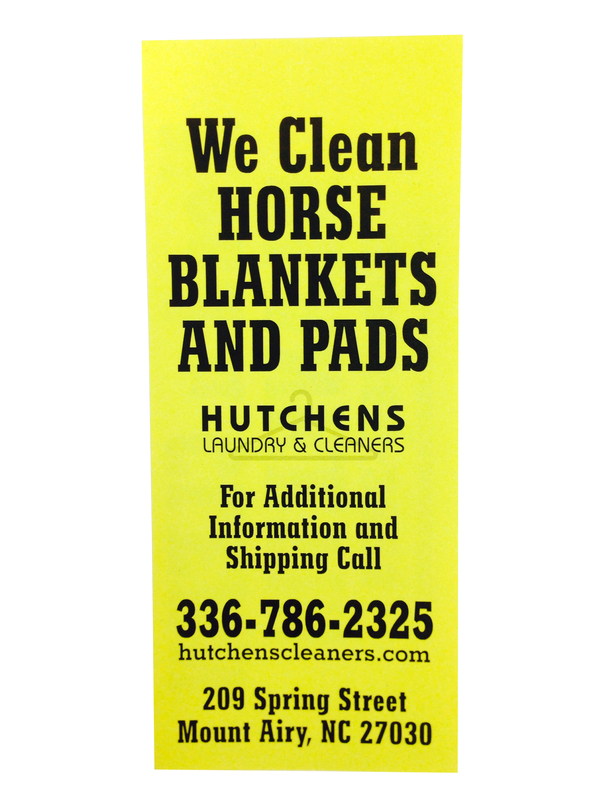 We also sell a comprehensive cleaning kit that includes all the items necessary for cleaning both leather and silver on your show saddles, bridles, and halters. It includes all of the Harris family’s favorite cleaning products and even includes brushes and towels. Printed directions are located on the inside lid of the case, so you’ll never be without expert tips and guidance when using these products. All of this is contained in a compact box with a carry handle for easy storage and handling of your supplies. The case ensures that all of your supplies stay together and never get lost. Click here to order the cleaning kit. Q: How do I clean my buckle? A: The preferred method for cleaning sterling silver trophy buckles and 3 piece buckle sets is to use the Goddard’s Silver Dip and a soft tooth brush. After cleaning and rinsing in water, use a Goddard’s silver cloth to shine the buckle and restore the luster and highlights. The Silver Dip may temporarily turn gold lettering or jewelers bronze a lighter color but this is only temporary and the gold color should restore itself after only a short amount of time. Q: How do I clean my wool show pad? A: We recommend sending your show pad to a local cleaner here in North Carolina, Hutchen’s Laundry. They have been professionally dry cleaning show pads for the Harris family and our customers for many years now. We do not recommend sending your pads to your local dry cleaner because often times the pads will shrink if the process is not done a certain way. Hutchen’s Laundry will make your pad look like new and will not shrink the pad at all. They ship all over the US and have great turn around times. Hutchen’s Laundry information is available for download here. Q: How do I measure for a belt? A: There are several ways to do this. The easiest method is to use your existing belt and measure from the fold to the hole you are currently wearing. This is the preferred method, especially if the hole you are currently using is not the center hole. If your existing belt is perfect, simply measure from the fold to the tip end. The final method is to measure your waist with a tape measure at the location you intend to wear the belt. When ordering, please let us know which method you used for measuring. Q: What is the current wait time for a custom halter or headstall? A: The average wait time for a halter or headstall that is not in stock is around 4 weeks. Customization in the silver design can extend the amount of time it takes to complete the order. A: We accept payments in the form of Visa, Mastercard, Discover, Certified Bank Check, Money Order, or Personal Check. For online orders we only accept Visa, Mastercard, and Discover. Q: What is the wait time on a custom set of spurs? A:The average wait time for a set of custom spurs is around 6 to 8 weeks. Q: How do I determine my boot size? A: For men, their boot size is the same as their tennis shoe size. For women you would need to go down one whole shoe size. If you wear an eight in a pump or tennis shoe, then you would need a seven in our boots. B is average for women. C is wider for women and more narrow for men. D is average for men. E is wider for men. EE is the widest width for men that we have in stock. Wider boots can be special ordered. Q: Do you dye saddles and tack black? A: No, we do not dye saddles and tack black. Dyeing saddles black is something that we strongly discourage for our customers. Unless leather is drum-dyed by a leather tannery, it never really fully absorbs any kind of dye. We have heard from customers who had their saddle dyed black and had the dye rub off on all of their show outfits, their jeans, their show pads and even their car seats. The black dye is also very corrosive to leather, making it brittle and stiff over time.